Many organisations are using social media to reach their audience. Many organisations are using email marketing to reach their audience. And of course all organisations have a website to attract their audience. According to Nielsen recognising that your audience is on a multitude of online channels of communication is important to improve your overall marketing performance. Being able to ensure that your messages about your latest news, announcements and other information is distributed across multiple channels is now very important to drive overall marketing performance. 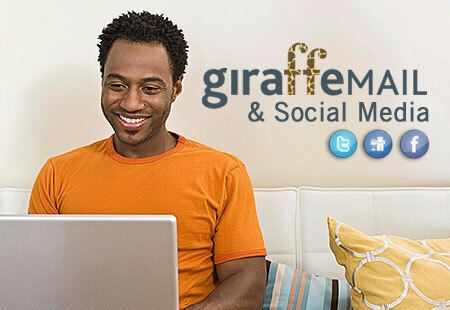 Recognising this WiseTigers latest email marketing update to Giraffemail enables you to integrate the most popular Social Media channels with your email marketing campaigns. This update was released to all existing clients earlier this week. You can read more about this update on our email marketing update news release. Forrester Research agrees, “The most important theme for 2011 is ‘multichannel planning’.“ Reading their Midyear Planning: Predictions For 2011, they insist it is important for technology to help organisations manage the growing number of marketing channels. The latest update to Giraffemail is just one of many such improvements that WiseTiger are delivering this year. ← What’s in the future for cookies? Hi would you mind letting me know which hosting company you’re utilizing? I’ve loaded your blog in 3 different browsers and I must say this blog loads a lot faster then most. Can you recommend a good hosting provider at a honest price? Kudos, I appreciate it!